Office Location: Leeds, UK. Employees can also work full time from this office. Want to work for a Growing Business? Do you have the Experience and Knowledge we are looking for? Manage deadlines that are set by Chief Technology Officer. Bring new ideas and best practice on the design, architectural and software development of the service. Inspire, mentor and encourage colleagues to apply intelligently customised industry best practice. Reviews designs, and software written by other developers for quality, best practice and architectural integrity. Liaise and communicate to other departments such as Product Development, Testing and Customer-Specific software development teams to add value to their roles. Provide training support to other members of the company and be a brand ambassador to BigChange. You’ll be an inquisitive technologist and naturally encourage others to be alike. Expenses paid for all overnight stays, subsistence and mileage whilst on business. Over 25 days holidays, plus bank holidays, plus ‘BigChange Birthday’. Gym membership assistance £20 gross pay monthly (for 12 months). 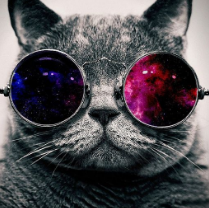 “Motivational Mondays” – inspiring talks monthly from extraordinary people. Local fruit delivered weekly to the office. Being part of a supportive team with the ability to learn new skills and grow within the company. Experience cutting edge technology and be part of a company that is shaping the future. 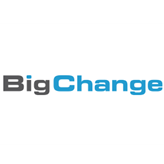 BigChange is an established force in mobile resource management, offering a host of solutions that have proven to transform the way companies manage their mobile workforces and mobile operations. By challenging convention and pushing for constant innovation, BigChange is pioneering new, intuitive and simple to use technology that delivers industry leading levels of return on investment. BigChange is a growing business and a fantastic place to work. We’re passionate about making a big positive change and want individuals who want to be part of that. It is a great place to work with excellent perks and career progression.